This software, Public Domain Finder, does exactly what it says. It scours the internet free public domain sites quicker than you can say weight loss. Let’s get to the Public Domain Finder Review! Public Domain Finder is actual compiled software that you have to install. One of the only drawbacks is that it is PC based, but if you are on a Mac, there are free emulators out there that you can use to install this software. 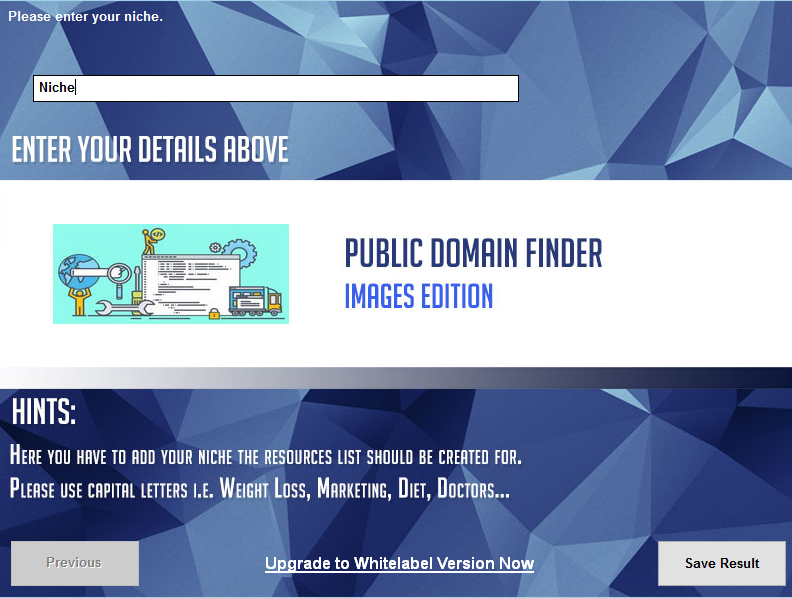 This software searches the public domain images for you on 42 different websites. By simply entering in their desired niche and clicking a button, your customers will be able to search on 42 sources and get the results delivered in a document. Imagine the time you can save with this app. Searching on each one of the 42 image sites could take around 3 and a half hours. With this software, it’s just 10 seconds. In my personal testing of the software, I found it to be less than 10 seconds. That is a true time saver! 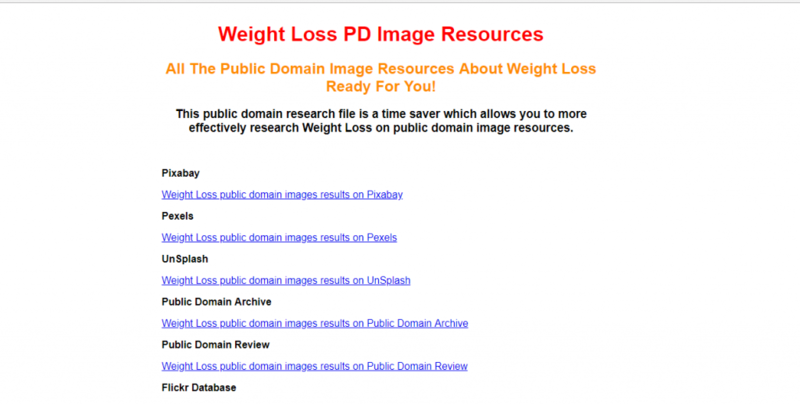 To use Public Domain Finder, you simply would type in for example – weight loss – where it says niche below. Without Public Domain Finder, there is no way I ever would have thought to go to Snappy Goat! I never even heard of that site, but look at all the great pictures you could use in your weight loss niche. Super fast – faster than 10 seconds! Useful for all content writers, niches, and bloggers. For $27 – OTO1 (Whitelabel) – offers the unbelievable opportunity to get that software with white label rights, so they can resell it for whatever price they choose to customers. For $37 – OTO2 (PD Content Search Software) – offers yet another big research tool, capable of searching 24 public domain document sites for their favorite ebooks, reports, comics, music tracks and US government documents. One keyword, one click, and they will receive a document with all the links ready to be clicked. For $47 – OTO3 (Whitelabel Content Search Software) – offers the chance to grab the document research software with white label rights. That’s all great stuff right? 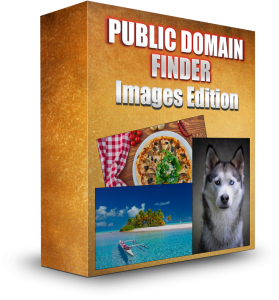 For only $17 you get Public Domain Finder. This entry was posted in Product Reviews and tagged Public Domain Finder Review by Mark Z. Bookmark the permalink.